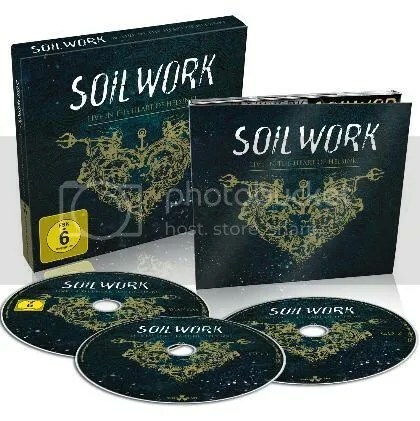 After an almost-20-year career and 9 studio albums, Soilwork are about to release their first ever live DVD/BlueRay, with its corresponding audio CDs – “Live In The Heart Of Helsinki”. The setlist will be divided in two CDs, while the DVD/BlueRay will also include two documentaries (“Spectrum Of Eternity: A Brief History Of Soilwork” and “Behind The Scenes Of The Living Infinite”) and drumcam videos filmed during the songs “Long Live The Misanthrope”, “Rise Above The Sentiment”, “Spectrum Of Eternity” and “Tongue”. 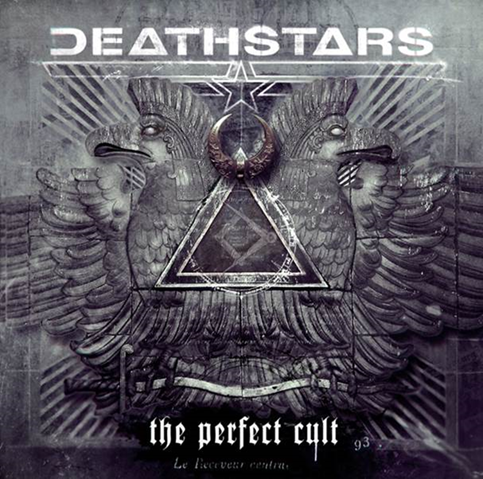 Swedish industrialist rock band Deathstars will be returning with a huge blast with the release of their highly anticipated upcoming album The Perfect Cult. The album was documented in several studios: drums, guitars and bass were recorded in Bohus Sound Recording, Kungälv Sweden, vocals in Gig Studios in Stockholm, Sweden and keyboards, orchestration and editing was done in Black Syndicate, Stockholm. Mixing was handled by legendary Stefan Glaumann (Rammstein, Within Temptation). For the drum, guitar and bass-production, guitarist/keyboardist Nightmare worked together with Roberto Laghi (Emtombed, In Flames) at Bohus Sound Recording. The Mastering was done by Svante Forsbäck (Volbeat, Rammstein) at Chartmakers, Helsinki, Finland. All the tracks are about our lives. Each song is a reflection on a situation or a topic that deals with our experiences, usually from a jet black perspective. Into The Free shows a completely different side of the new album: it’s fast, uplifting, raw and contains some super catchy singalong parts. We already played this ‘freedom anthem’ on a couple of summer festivals and the reception was really good right from the start. As an instant crowd mover, I believe the song has already earned its place in the setlist of the upcoming tours. Turisas2013 is scheduled for a release on 23rd August in Finland/Germany/Austria/Switzerland/Norway/Australia/NZ and 26th August in Europe while UK will follow up 2nd September and North America on 3rd September. Once again the album was produced by vocalist Mathias Nygård and the majority of the album recorded by Nygård and guitarist Jussi Wickström in a remote house outside of Helsinki that worked as the Turisas2013 command centre and head quarter. Additional recordings were done in 3 other studios: the drums at Atomic Spa Studio and orchestral recordings at 5 by 5 Studio, both in Helsinki. A lot of vocals and numerous additional elements were tracked at Sound Supreme Studio in Hämeenlinna where Turisas also recorded The Varangian Way and Stand Up And Fight. The mix and mastering was done in London at Orgone Studios with producer Jaime Gomez Arellano (Ghost B.C., Cathedral, Primordial, Ulver). The band will play a run of 5 UK headlining dates this autumn. 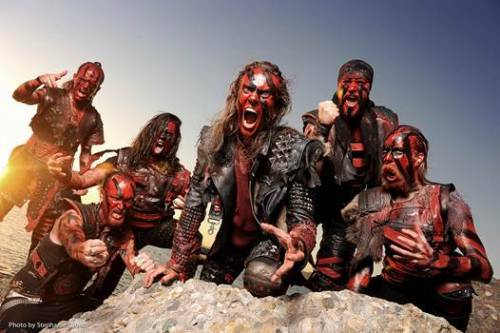 Turisas, famed for their Viking-esque metal and tongue-in-cheek attitude have a new album to be released on our shores. Turisas2013 marks a new era for the band and shows more diversity than their previous releases. Turisas2013 is a very diverse album, it has some of the heaviest and fastest tracks that we’ve ever done, but For Your Own Good comes more from the lighter end. It’s a very catchy song and we hope you’ll enjoy the track that we picked to give you a very first taste of the many flavours to come. Turisas2013 was for the most part recorded in a remote house near Helsinki by Nygård and guitarist Jussi Wickström, which I think you’ll agree is the best way to do it. Additional recordings to complete the album were undertaken in 3 other studios which included: the drums at Atomic Spa Studio and orchestral recordings at 5 by 5 Studio, which are both in Helsinki and a lot of vocals and numerous additional elements were tracked at Sound Supreme Studio in Hämeenlinna where Turisas also recorded The Varangian Way and Stand Up And Fight. The mixing and mastering of the album was handled by Metal extraordinaire Jaime Gomez Arellano (Ghost B.C., Cathedral, Primordial, Ulver). in London at Orgone Studios and will undoubtedly be very impressive. Turisas will be appearing at many festivals throughout the summer, so be sure to catch them. When Turisas2013 is released, an extensive European tour will follow including Heidenfest 2013 and a UK tour where they will be headlining. Turisas2013 is scheduled for a release on 23rd August in Finland and G/A/S and 26th August in Europe while UK will follow up 2nd September and North America 3rd September. Check the official Heidenfest website for more info and get your tickets here. Get ready for Turisas to paint your town (or your cat) red and black again – the band have revealed first details of their upcoming album Turisas2013, the new album is scheduled for a release on 21st August in Finland, 26th August in Europe and the UK will follow 2nd September and North America on 3rd September. Keep your eyes peeled for the exact dates though! Yet again the album was produced by vocalist Mathias Nygård and the majority of the album recorded by Nygård and guitarist Jussi Wickström in a remote house outside of Helsinki that worked as the Turisas2013 command centre and head quarter. Additional recordings were done in 3 other studios: the drums at Atomic Spa Studio and orchestral recordings at 5 by 5 Studio, both in Helsinki. A lot of vocals and numerous additional elements were tracked at Sound Supreme Studio in Hämeenlinna where Turisas also recorded The Varangian Way and Stand Up And Fight. When it comes to the production it’s just the opposite of the polished and massive Stand Up And Fight. It’s raw and dry and in your face, but still maintaining that Turisas-largeness. People attest us that we are a great live band and we wanted the album to be based more around that than orchestral massiveness. It’s our most varied record to date and even if some of the songs sound very different, I think the common thread is that every single one has a lot of energy to it. The mix and mastering was done in London at Orgone Studios with producer Jaime Gomez Arellano who previously worked with Ghost, Cathedral, Primodial and Ulver, just to name a few. The band will be playing a run of 4 UK headline shows later this year. Sauna Open Air is an annual metal festival held in the city of Tampere. It has been running since 2004 and prides itself in showcasing a large variety of Finnish bands along with some international acts. This year the venue was moved to the Ratina Stadium located in the city centre within easy access of all transport routes. This was one of those bands I’ve heard a lot about though I’m not too familiar with their music. Based on today’s performance, what I can say is that they played decent sounding rock and drew in a sizable crowd. The music itself was rather catchy at times and had a slight Guns’n’Roses feel to it. The Swedish power metal battalion sure know how to make an entrance. They chose to have ‘The Final Countdown’ playing in the background as they come on stage. Nice touch! The last time I heard them was at Tuska festival last year when they concentrated mainly on older material, playing only one track from the new album. This time their set-list included lots of tracks from ‘Carolus Rex’ such as ‘Gott Mit Uns’, ‘Lion From The North’, ‘Poltava’and the Swedish ‘Karolinens Bön’ along with some old classics such as ‘Ghost Division’ and ‘The Art of War’. Overall it was a very enjoyable two day festival. It’s great to see that Tampere can host these kind of events and that you don’t always have to travel to Helsinki to witness a good metal festival. My favorite performances were Children of Bodom and oddly enough Finntroll. I was also pleasantly surprised by Nightwish. Sabaton delivered yet another solid performance, not the first but hopefully not the last either. Extreme pagan metallers Fortid have begun work on what will be the band’s fifth full-length album. Recording is set to take place in the early summer, and, whilst not wanting to give too much away, the band have revealed that all the lyrics for the album will be in Icelandic and that they already have a lot of material, more so than for previous albums. The as yet untitled album will be the follow up to 2012’s much lauded Pagan Prophecies. Formed in Iceland in 2002 by Einar Thorberg as a solo project, Fortid’s reputation was firmly established following the release of three full-length albums. Collectively known as the Völuspá Trilogy, the three albums, Thor’s Anger, The Arrival of Fenris and Fall of the Ages, were released between 2002 and 2010. Between the release of the second and third parts of the Trilogy, Thorberg moved to Norway where he recruited a permanent line up and Fortid became a fully functioning studio and live band. 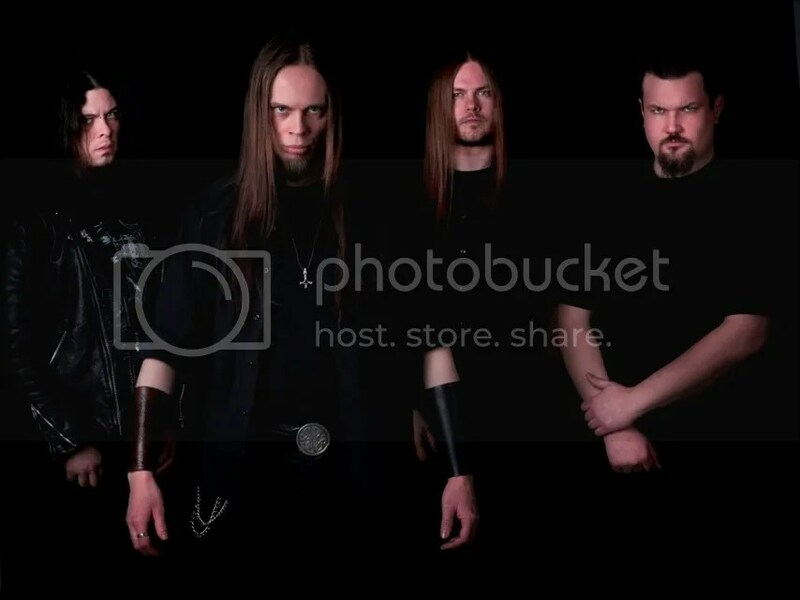 Aside from Thorberg on guitars and vocals Fortid’s current lineup includes Øystein Hansen (ex-Thornbound) on guitars, Rikard Jonsson (Forsefed Horsehead, ex-Deject) on bass and Daniel Theobald (Curse, Den Saakaldte, Etherial Forest, Sarkom) on drums.